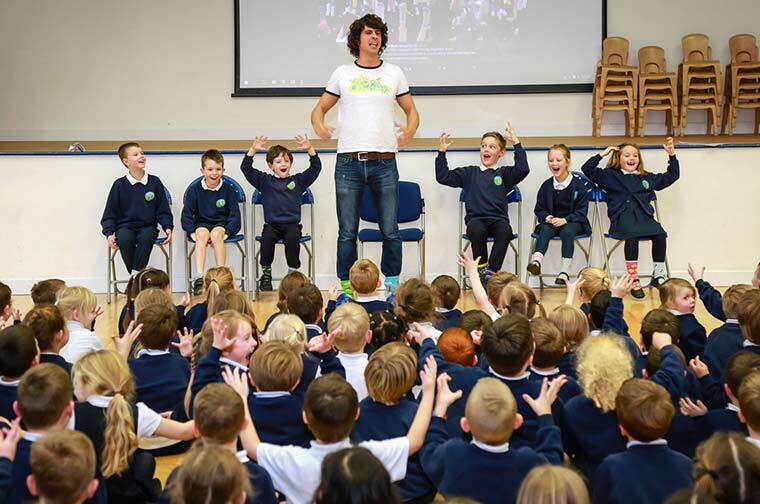 A Bournemouth primary school was treated to a visit from CBeebies star Andy Day after the children impressed judges with their anti-bullying campaign. 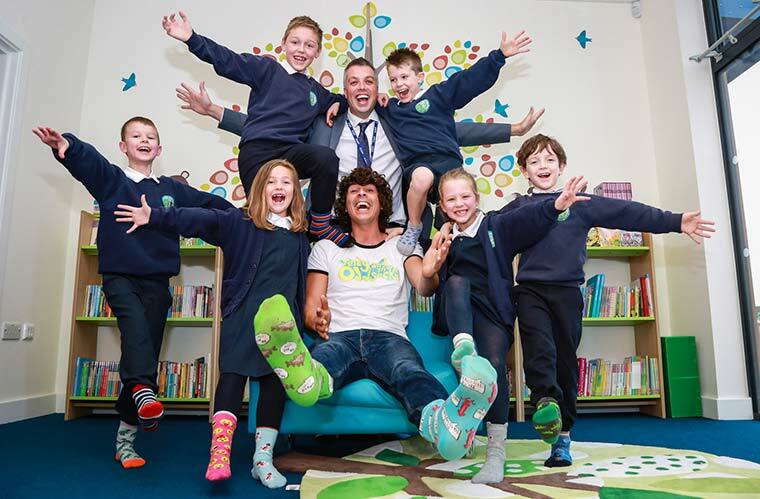 Avonwood Primary, part of Avonbourne Trust, was one of just 10 schools across the country picked to receive the visit from the popular CBeebies television presenter, Andy Day. The school was chosen for its stand-out participation in the Anti-Bullying Alliance’s ‘odd socks’ campaign last November. The Anti-Bullying Week encouraged primary schools to show children that everyone is equal and nobody should be bullied for being different. During the week Avonwood held a special assembly on diversity and every pupil and member of staff wore odd socks for the occasion. Their efforts so impressed the Anti-Bullying Alliance judges that they were chosen to receive a visit from Andy. Headteacher, Chris Jackson, said, “The children were so thrilled to receive a visit from Andy Day. “Andy was given a tour of the school, causing much excitement in the classrooms, and during a special assembly he presented the school’s friendship ambassadors with certificates. A patron of the Anti-Bullying Alliance, Andy has also written songs about the issue with his Odd Socks band. He performed one of the tracks to the Avonwood children and encouraged them to join in with the actions. He said, “I was over the moon to visit the children at Avonwood Primary and thank them for taking part in Anti-Bullying Week. “Many of our Odd Socks’ songs are about being unique and appreciating others unique qualities. It’s important to encourage acceptance of individuality at an early age so we can help prevent bullying from taking root.